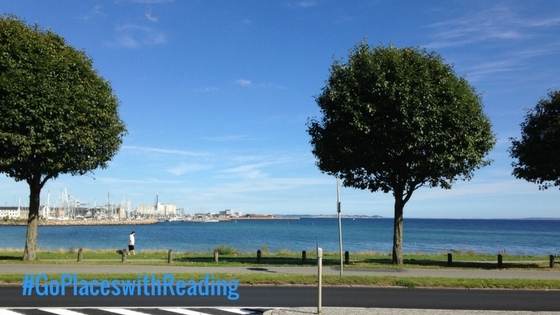 Laurence is studying abroad at Aarhus University in Denmark as part of his Economics degree at Reading. He’ll be adapting to Danish living for the full academic year. Read on to find out how he’s getting on. Admittedly before looking to study abroad, I didn’t know too much about Denmark past Copenhagen and their leading happiness ratings, but after the first few weeks living and exploring Aarhus the experience has made me want to learn and see everything the country has to offer! Arriving in Aarhus for the first time was a great first experience for me, the city has just been appointed the European culture capital for 2017, and it really shows with the mix of modern and old on each street. Walking around aimlessly with new flatmates and figuring out where to go was great fun, although you’ll quickly find out that cycling is the way forward here! All the main roads have dedicated cycle paths which are very safe to use, and the lanes leading into the city centre have displays to show how many people have cycled into town this year and on the day. It’s a cool thing to see and makes you feel a little better each time you don’t cheat by using the bus! The first place we explored as a group was the ARoS art museum, featuring a wide variety of art pieces and types across the floors and topped off with the ‘rainbow panorama’ installed on the roof. It was as good as any of the bug museums in London, and the panorama gave a colourful view of the beautiful city I’d be staying in for the year. The university put on a welcoming week of activities and information giving which was incredibly useful and reassuring, I felt a lot more confident in what I was doing when people and professors from the local community share their experience and tips to making the most of the city and also helped to fill out the necessary paperwork making the process really easy and making sure there would be no problems during the stay. I knew that the university had a big international population, and I could really see this when we were split into groups of students from all other the world stretching from Japan to Canada! The mentors who worked with our group were two former students who were honestly amazing at creating a friendly atmosphere for all of us to get to know each other and would show us their own personal favourite places around Aarhus. It was a great way to start to get friendly with people having their own unique adventure, and between this and welcoming flatmates you can feel like you already know a great group of people even before the first lecture. So far all the small differences have been my favourite thing to experience such as learning Danish, cycling everywhere or even just seeing England as the subject of holiday ads, and it feels exciting! I am surrounded by stuff that is new to me; a journey in any direction from my residence could mean finding something that keeps my time here fresh, and I don’t think this will stop any time soon. 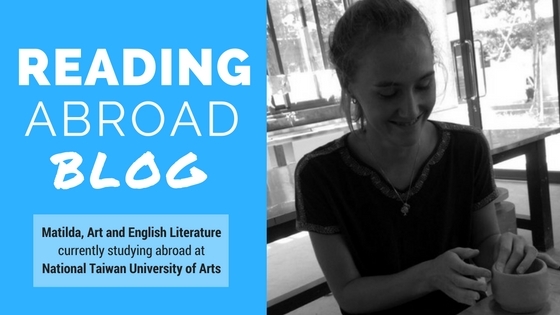 Matilda is studying abroad at the National Taiwan University of Arts in Taiwan as part of her Joint Art & English Literature degree at Reading. 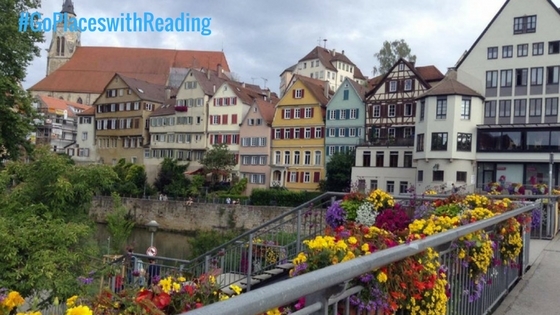 You’ll be surprised what you can fit into a semester studying abroad. Read on to find out what Matilda has been up to! I have now fully immersed myself into NTUA life. I have tried all my classes and I absolutely love it. Doing touristy things has kind of died down for me because I am enjoying my classes and work so much. Other exchange students decided not to take as many classes and experience Taipei more. NTUA is definitely adaptable to the way you choose to approach your experience, only is you are an exchange student! Generally, the teachers are relaxed and happy for you to eat and even sleep during lessons, so it is up to you to get as much or as little out of the experience as you want. I personally feel that it would be a real shame not to optimise my experience here. The facilities are too good not to make full use of and the same goes for the teachers! 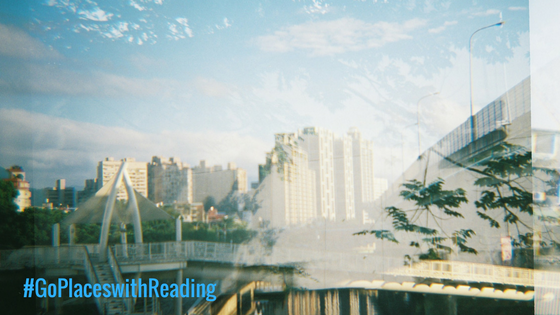 A double-exposure film photograph of the bridge on the way to the city. The teachers are well renowned masters of their arts so it is really a privilege to be taught by them. I am learning traditional Chinese art forms in my calligraphy and stamp class. It is really interesting to learn about the history of Chinese art and the ways it has been adapted. Alongside the traditional Chinese art classes I take Life drawing, Oil Painting and Ceramics classes. I thoroughly enjoy all of them. The facilities for ceramics are brand new and so the facilities are not just top quality but also never used. The department allows students to experiment with so many different ways of making and glazing the ceramics. I also take Pilates, volleyball and Chinese lessons. Learning Chinese is incredibly difficult but it is such a fantastic opportunity to be learning it, for free too! Although I don’t expect to be fluent from a 3 month course of lessons, I am already able to understand the language more. I intend to keep it up when I return home as it will create so many opportunities for me. The weather is still really lovely, apart from the two typhoons we have had! It is sunny and warm most of the time. The university is a little way out of the busy city area but it is really easy and quick to get right into the centre. We are able to walk to one of the big stations which already has much more of a city vibe with lots of western shops mixed in with Taiwanese restaurants and market stalls. There is a big night market in between, this is something Taiwan is famous for. There are all sorts of interesting things to buy and eat. Including stinky tofu, which takes some courage to try once you smell it! I am really enjoying all the influences from other art forms because NTUA is a school of arts. There is always something different and creative going on from dance performances to art exhibitions. It is also a really active university as there are always people playing basketball and volleyball, to a really high standard too! 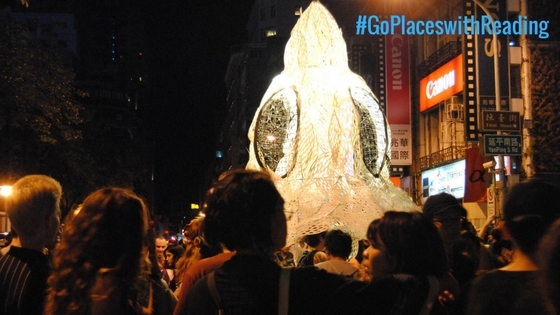 It was really fantastic to be able to go to Nuit Blanche, which was a French arts festival with all kinds of art, all over the city, all through the night. It really was an incredible thing to see. Missed Matilda’s first blog post? 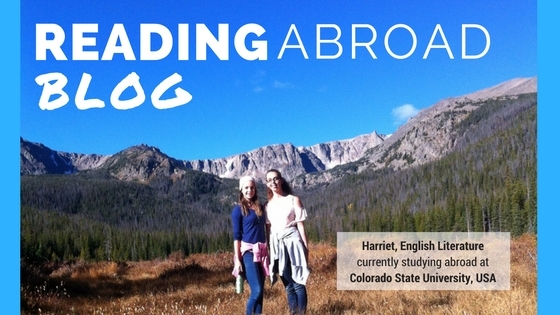 Harriet is currently studying abroad at the Colorado State University (Fort Collins) in the USA as part of her English Literature Degree at Reading. Getting involved in CSU has given her the opportunity to get involved in a wide range of activities, read on to find out more. Halfway through my study abroad experience and I can most definitely say that I do not want to come home! My classes are going really well and it’s interesting to get a different perspective on subjects that I learnt at home. I’ve just finished a week full of midterm exams, however they were definitely not as hard as the exams at Reading because most of the exams are multiple-choice, so a lot better than writing essays! Two weeks ago I took part in “weekend in the mountains”, a trip run for international students where we went up to the Colorado State University Mountain Campus for the weekend and do a load of activities, such as hiking and roasting smores on the campfire. This was really cool, and I made a lot of friends from Universities all over the world, mainly Australia and New Zealand. The weekend was a fantastic experience and I would definitely recommend it to anyone who goes to CSU for their study abroad. I’ve also gotten involved with the CSU Literacy Centre, so every Wednesday evening me and three other girls go to the local prison and run a workshop with some of the inmates, and at the end of the semester we publish a book of everything they have written. 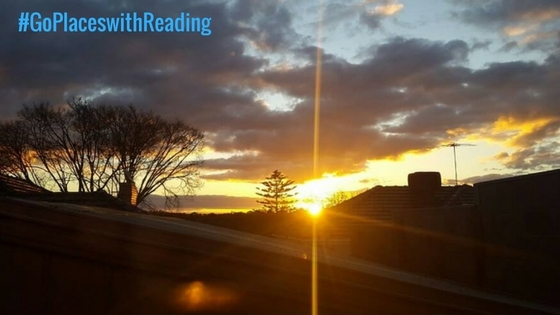 It’s been a really rewarding experience so far, and it’s something that I’d really love to bring back to Reading because I can see the huge difference it’s making on the inmates’ lives. There are also workshops run with unprivileged children, which one of my friends is involved in, and she also loves it. I still can’t believe how much pride the students have for the school here at CSU. It was homecoming last week, so there was a huge bonfire, fireworks, a load of parades, and a big football game, which we finally won! It was a really great week and everyone was decked out in CSU gear all week. There’s a lot more team spirit and support for all of the sports teams here than there is at Reading, so it’s really nice to be able to get involved with all of that. Halloween was also really cool, but it’s not as big of a deal as I thought it would be. My roommate and I went to a few Halloween parties, which were all really cool! Thanksgiving break is also coming up in a few weeks! I’m staying at a friend’s house for the week and we’re planning a load of activities to do each day, so hopefully I’ll get to explore more of Colorado! As well as Colorado, I’m going to Washington for a few days at the end of December with my roommate before flying back to England. I’m really excited to go there because that’ll be the fourth state that I’ve visited in my time here, and it looks like such a pretty state, although it’s definitely livelier than it is here in Colorado. I wish I could stay here for the whole year, but this is definitely an experience I will never forget! 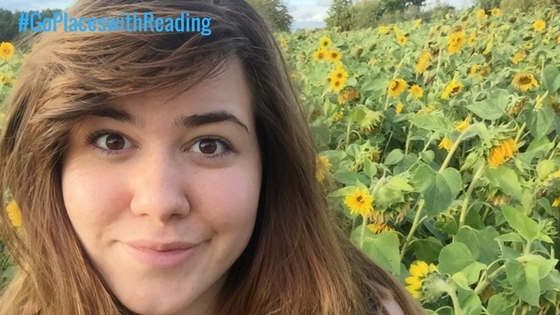 Missed Harriet’s first blog post? Catch up on her ‘My Dorm looks out on the Rocky Mountains’ Post. 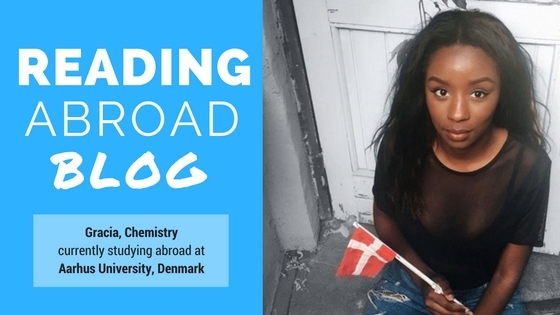 Gracia is currently studying abroad at Aarhus University with Chemistry degree at Reading. 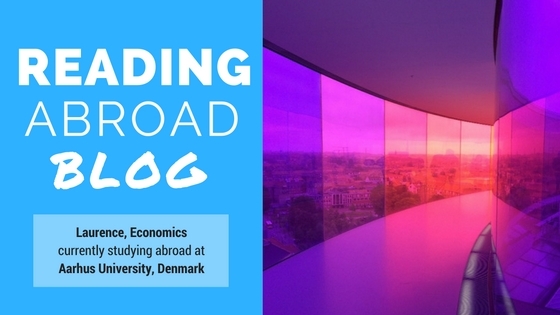 Already coming to the end of her first semester in Denmark, read on to find out how she settled into the social and academic side of her year abroad. 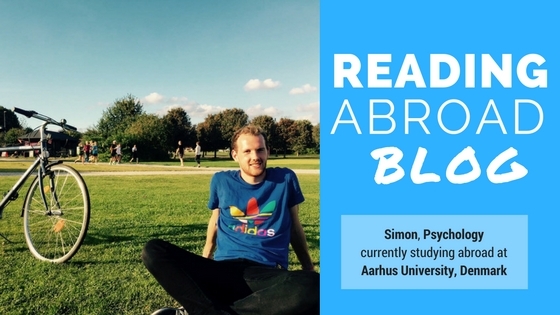 So it’s now been 15 weeks since I moved to Denmark and it’s typically me writing a welcome to my study abroad experience so late, but better late than never! So what can I say I’ve enjoyed about my trip so far. Let’s start from the beginning, I arrived on August 24th 2016. I flew straight to Aarhus from London, which was surprisingly not long at all. Here’s me thinking I would have time on the plane to cry, reflect, get excited and prepare myself for the year to come. But no! The flight was 1 hour and 40 minutes and in a blink of an eye. Hello, Aarhus Denmark. So the next few days were the intro days and I used these days to explore the town, meet new other exchange students and get familiar with the University. Each international student were assigned a mentor to help them settle in which was great help because I had a ton of questions. Luckily for me the weather was beautiful which was shocking because prior to coming everyone had warned me about how cold it was going to be but for the first few months it was sunny everyday so I saw Aarhus in its true form. I managed to buy a bike during my first few weeks because it’s definitely the most practical way of travelling around Denmark and the great thing was that we were able to go to the beach practically every day and also visit some amazing Danish landscapes. All the houses are brightly coloured (at one point I felt like I was in an episode of Balamory), but I loved how unique and quirky the houses were. Everyone that I met were super nice and friendly they don’t lie when the say Denmark is the happiest country in the world. Which made me comfortable and excited for this new chapter in my life. It wasn’t long before I was introduced to the famous concept of “Friday bars”. Each Friday from afternoon to late evening each academic departments set up bars in a big room, canteen or even classroom in the building and sell beer, soft drinks and a never ending game of beer pong (I never realised how competitive this game was until saw Danes play against each other). They are really cool bars because both students and lecturers from that department are able to socialise, the prices are inexpensive, thanks to the student volunteers. But on the 9th of September, Denmark’s largest Friday bar was held in the University Park, with special themed bars, activities and 2 massive stages with popular Danish music artist it was definitely one of my highlights so far. Regarding my education, I am now well into my Chemistry Project in the Group of Prof. Troels Skrydstrup working on synthesising metal-salen derivatives. At first I was a bit overwhelmed but I am now so happy and comfortable working in the lab and learning a lot from the other students around me. Finally, so far I have met some amazing people and have had such an good time in Aarhus and I am excited to do more exploring and see what the next few months has in store for me! Developing an addiction to cinnamon buns..
Lucy is currently studying abroad in Uppsala University in Sweden as part of his Law degree at Reading! 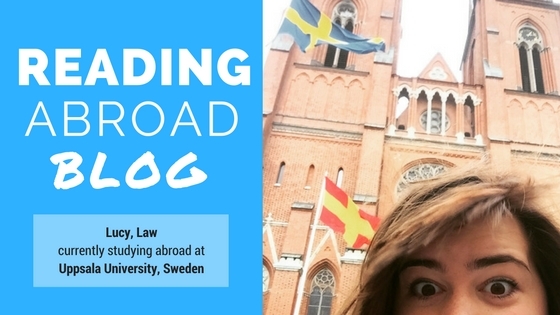 Read on to find out how she’s adjusting to life in Sweden for the next academic year. Waking up at 1AM to get on a plane destined for Sweden was definitely one of the most scary things I’ve ever done, but equally one of the more rewarding. 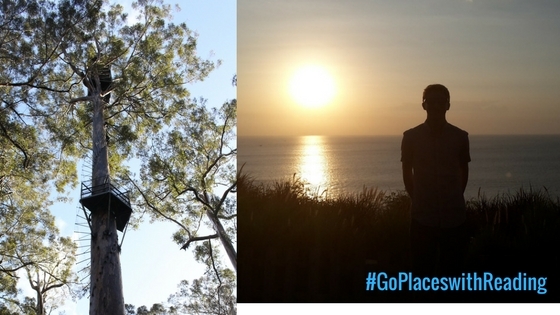 I craved adventure and my study abroad experience has definitely delivered! Uppsala is the fourth largest city in Sweden and as such there is something foreign and beautiful to be entranced by wherever you look in the city centre and even on the outskirts where my accommodation resides, Uppsala Cathedral is my personal favourite to date. A couple of days after I arrived and had explored a little, the University put on a welcome day for the international students where we were given information, signed any outstanding contracts and had the opportunity to buy tickets for the International Student Gasque (a type of event put on by the University, or one of the twelve Student Nations which centres around a formal dinner with speeches and singing, often followed by an informal after party). We were then given a week to mingle with the fellow international students and join in with social events put on by different Student Nations (each Nation being modelled after a different area of Sweden). I used the week to explore Uppsala and make some friends. The following week I began my first module- Criminal Law Theory, I chose the course because of my great interest in Criminal Law and hoped to gain more insight into the subject. The module certainly gave me that, I was provided with a new way to look at Criminal Law and got a better idea about the differences in Law between countries, during the first half of the module I also had the pleasure of being taught by a Mr A. Simester, who’s work I have followed throughout my study of Criminal Law. The teaching style in Sweden is heavily reliant on group discussion, which took some getting used to, however it has been interesting to see the differing opinions of students from around the world, which made up the class. Between studying and making new friends, I have tried to explore not just Uppsala, but the surrounding area. The obvious first stop was Stockholm being the countries’ capital. On my first visit, I accompanied a friend to Skansen, which is aptly described as an open air museum, I would thoroughly recommend it for a fun day out, where you get to learn more about Sweden’s history in an interactive and fun way, we were particularly spoilt by being shown an English printing press once one of the displayers learnt where we were from. 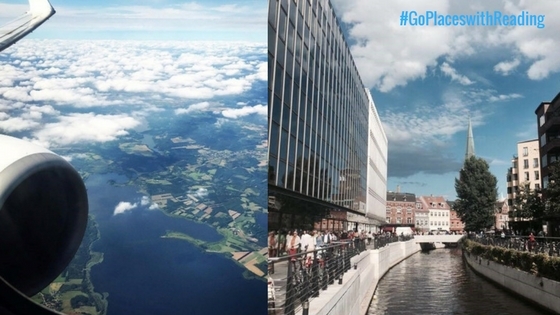 I have also taken advantage of the Study Abroad experience to travel, my first trip was to Copenhagen in Denmark. The Swedes are warm and friendly once you get to know them, and I have quickly discovered that the language barrier is virtually non-existent. So far my study abroad experience has been brilliant, though I am developing an alarming addiction to the cinnamon buns! 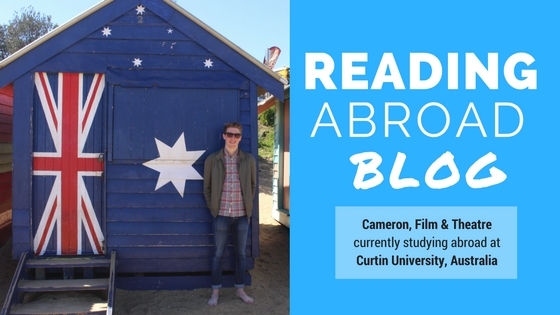 Cameron is currently studying abroad at the Curtin University in Australia as part of his Film and Theatre degree at Reading. It’s been a month or so since Cameron’s last blog – read on to see what’s he’s got up to since! My, oh my! It’s fair to say the past two months have been pretty spectacular. A lot has happened since I wrote my last blog; including 3 trips, my twentieth birthday, and a little bit of work – it’ll be pretty hard to condense all the events down to such concise descriptions. However, I will try my best to detail all of the amazing experiences I have gone through since the start of August. Firstly, I was able to see some of the beautiful scenery on display in Western Australia, going on a 3-day tour of the south-west. On this trip, we visited numerous beaches and coves, hiked up hills and walked amongst the tree tops, as well as having the chance to visit Margaret River and one of its famous wineries. A highlight of this trip had to be climbing the Dave Evans Bicentennial Tree, a towering green giant, with a platform positioned at its 75-metre tip, which was once used as a lookout for forest fires. Despite being absolutely terrifying, the climb to the top was absolutely worth it one of the best views imaginable. The travelling continued as during my first study break a group of us foreign exchange students took a holiday to the sun-drenched island of Bali. Going to Bali gave us a brief escape from university work, as well as providing a refreshing change of scenery with its beautiful beaches and coastlines, being especially relevant when we got to watch the sunset from a bar built into the side of a cliff. Bali was an incredible place to visit and somewhere I didn’t expect to be venturing to while studying abroad in Australia but I am so glad that I go to go there. I’m sure I will revisit in the future if I get the chance. My adventures did not end here. Far from it! 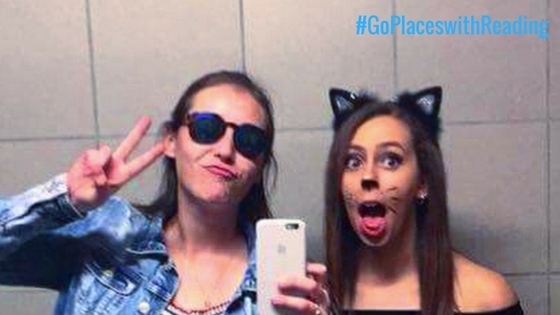 In my next study break I jetted off to Melbourne to meet my fellow study abroad-er, at La Trobe University, Ellie. Melbourne was an amazing city that radiated culture with its vast ethnic diversity (the largest Greek population outside of Greece as the historic 35 tram told me), huge food scene, as well as the numerous amount of museums and galleries. While there, Ellie treated me to a swift but packed tour of some of Melbourne’s best attractions to visit. If I had to just name a few I’d have to go for; The National Gallery of Victoria, Hozier Lane, Brighton Beach Huts, watching penguins go to their nests at a St. Kilda beach, ACMI (Australian Centre for Moving Image – could technically count it as revision). This is just a quick highlight of some of the locations from my brief visit to Melbourne and doesn’t even include all of the excellent restaurants. Melbourne is definitely a city that I can’t wait to return to, only having scratched the surface of what it has to offer. During the moments when I have been at Curtin University, my work has been going well. Through my most recent assignments I have been able to explore an aspect of film that I am strongly interested in, this being screenwriting. One of my assignments saw us creating the concept and synopsis for a TV Drama, then writing a pitch for it, which was a lot of fun, giving me the chance to let my creative juices flow. Another intriguing aspect of my education at Curtin so far has been the unit Experimental Screens. This unit has really progressed my definition of what cinema can be and has opened my eyes to a new idea of filmmaking that I will hopefully implement into my future projects. I can fairly say that so far I have been thoroughly spoilt by my trip down-under, being blessed with opportunities to explore not just Australia but also Bali. However, even though I have done and seen so much already that’s not going to stop me from adventuring out and seeing all that Oz has to offer. I just have to see what the future has in store for me. Till then, have a good one. 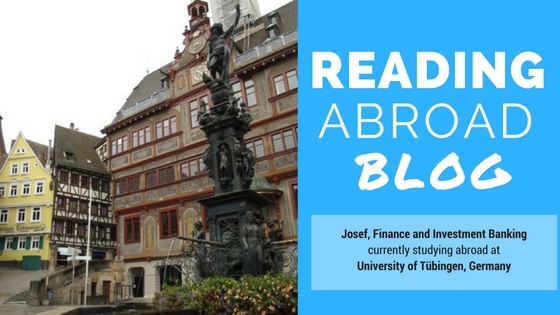 Josef is currently studying abroad at the University of Tubingen with his Henley Business School degree at Reading. 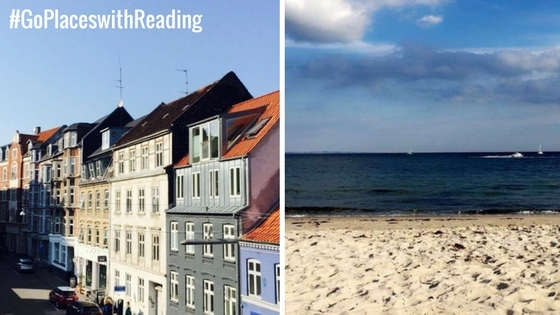 Read on to find out how he settled into German life for his third year abroad. Around one month ago now, I packed my case and woke up at 3.30am for my flight. Once on the flight, in between attempting to catch up on some much needed sleep, I was full of mixed emotions from excited to straight up scared. Then after a long day of travelling, I finally arrived at my flat… only to be greeted by nobody. Unlike Uni at home students don’t have to move out of their rooms at the end of each year, this means that many stay in the same rooms for their full degree. This also means that there is no specific moving in date like at home. A few very unhelpful emails with the accommodation team here in Tübingen followed where I was told most students would be arriving from the start of September to the middle of October. I decided to arrive bang in the middle of those dates. Big mistake. Over a third of the population of Tübingen are students, so when those students aren’t here the place turns into a bit of a ghost town. However, I thought I’d make the most of the quietness and enrol at the university and open a bank account. But this leads me on to the second thing they don’t tell you about moving to Germany and that is that German efficiency is largely a myth. 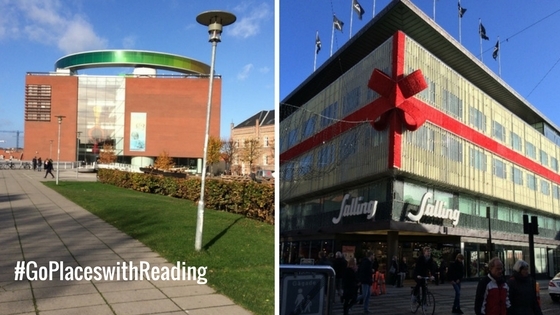 Where as in Reading, you receive your university card within 5 minutes of arrival on moving in day; here it required going to 6 or 7 different buildings and to make that even more complicated it has to be done in a specific order and most of those buildings are only open between 9 and 11.30am. My first three weeks here could be described as unremarkable, dull and very lonely as I only had one flat mate who would occasionally be in Tübingen to do something with and get some much needed social contact. Then it all changed. The students arrived. On the first official day of university in October, I attended a Meet and Greet for other internationals and a few German students too. An awkward event to begin with, but the awkwardness soon left and the event ended with a group of us going out for drinks afterwards. Since that day, study abroad has genuinely lived up to all expectations. A lot of fun has followed with the most diverse, if not random, friendship group I have ever been part of, including Germans, Australians, New Zealanders, Russians, Danes and Americans. Since meeting we have explored this beautiful university town by day, but mainly by night. Thanks to all the students, Tübingen has the youngest average age of anywhere in Germany and so it’s fair to say we aren’t short of bars or clubs. The second bonus to going out here is that most regular bars have prices more similar to that of the Union at home and the uni-owned bars here are usually about half that price. So win win all round. When it comes to the academic side of things, it’s more difficult to say what it’s going to be like as lectures only started last week. Although I have noticed a few things they do differently here already. After my first lecture last week I began packing my things away, only to be given the fright of my life when all the other students started bashing on their desk. I later found out they do this as a way of showing their appreciation to the lecturer; but when you’re not expecting it, it sure does make you jump! Another thing is if you find 9am lectures too early at home, try an 8am start where you sit in class and watch the sunrise. All in all, after a difficult first 3 weeks here, the last 2 weeks have made up for it. The main things I’ve taken from the experience so far is to take the rough with the smooth as any negative experiences are soon outweighed by the many positive ones. My Advice – Sign up to the Buddy Scheme! 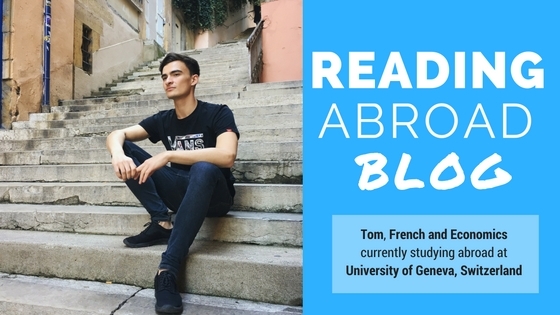 Tom is currently studying abroad at the University of Geneva with his French and Economics degree at Reading. 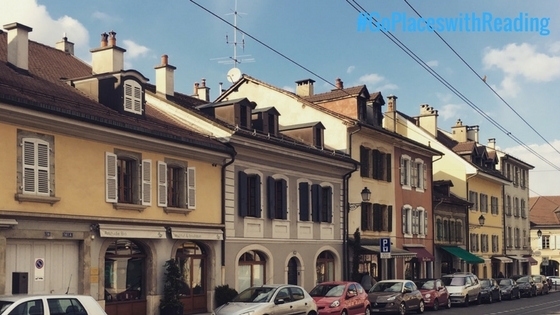 Read on to find out how he’s settling in to his new life in Switzerland for the next academic year. The end of summer came about rapidly, and before I knew it I was boarding my one-way flight to Switzerland. Having only secured accommodation a couple days prior to my departure (despite the months of frantic searching coupled with an unsuccessful trip to find somewhere) it was safe to say that I was relieved in the comfort of knowing that I had a bed to sleep in. I felt a perfect balance of anxiety and excitement – the thrill of diving into the unknown paralleled with the insecurity of a completely different lifestyle made me feel like I was truly about to embark on a journey that would define who I am as an individual. I attended the welcome session – an event that was supposed to be an introduction to the university, but it felt more like a social day whereby the exchange students could unite. On this day I was fortunate enough to meet a wide range of people from all across Europe. I was soon reassured that I would not find myself lonely over the course of the upcoming year. A committee known as “ESN Genève” (Erasmus Social Network) invited us to sign up to their group so that we may participate in their events, and I couldn’t be more satisfied. Along with regular day trips, every Wednesday we meet for a pub night which is a great opportunity to socialise and catch-up with those not on our course, as well as to show off the true British spirit of getting absolutely hammered. Getting myself established within the University was somewhat of a bureaucratic nightmare and I was soon convinced that administration staff are very reluctant help. With an array of documents that needed signing by different individuals, along with complex office hours that each member of staff pertained it took a little over 2 weeks of pestering before I could get everything organised. My advice to future students in my position would be to sign up to the ‘buddy’ programme offered by ESN and to ask your buddy (a non-exchange student) for advice. Outside of lectures my life consists of similar activities that I would do back in the UK, before temperatures drop too low we’ve been profiting in spending afternoons outdoors walking around the lake, grabbing coffee in Geneva’s niche cafés, and finding bargains at the numerous flea markets that appear across the city. With the cost of living being so expensive I often cycle to France in order to do my grocery shopping as it’s far cheaper, however this often leads me to overspend as the attractive prices cause me to disregard my budget. Adjusting to life here has been relatively easy as most people are friendly and outgoing, seeming to have a similar ‘can-do’ attitude to the cliché American one. The city streets are clean and I generally feel very safe. This is not to say that I don’t miss British culture and at the moment I am still finding myself with thoughts along the lines of: “that’s not what we do in the UK”. But in conclusion, I am having a great time and I’m certain that in the upcoming months my love for this city will grow even more! 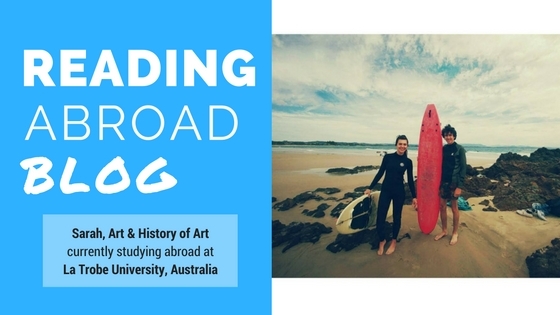 Not so long ago we caught up with Sarah who’s studying abroad at La Trobe University with her Art and History of Art degree at Reading. 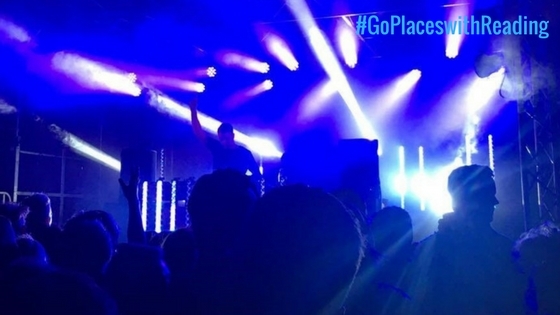 Read on to find out what else she has been up to half way through her semester abroad. So, I’m halfway through my time studying here in Aus and time has flown by! My courses and tutors have been great and really understanding in helping with my dissertation work and general studies. Although the modules haven’t linked directly to my course they have been broadening my knowledge about Australia, helping me gain awareness I wouldn’t get back home. An important aspect of studying abroad is to embrace a change of information flow and how to use new information to explore a wider outlook. 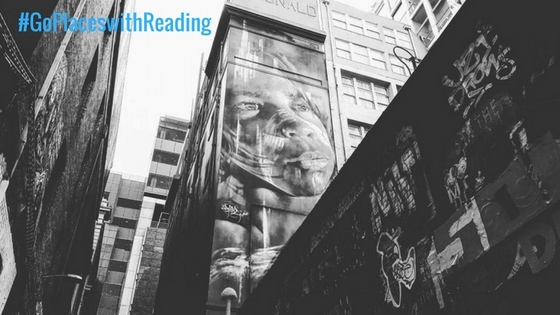 Australia has been amazing in giving me a different perspective of how art can be used as a learning tool for history and how our modern social and cultural lives can be impacted by the past. I have been looking at how art can give undocumented history a voice and Australia’s turbulent past is incredible to learn from. I have been studying Aboriginal art and also the display of art in galleries around Melbourne. I visited the Gold Coast and Byron Bay a few weeks back and stayed in an Airbnb whose host is an Aboriginal artist! Apart from having an amazing time surfing, seeing live bands, and getting a tan, I also got to interview Anthony as part of my dissertation and artwork. I have had so many experiences from study abroad that would not have been possible otherwise and greatly benefited my degree already. For the rest of the time of not soaking up the sun on the East Coast I’ve explored Melbourne, falling for its many exemplary coffee shops, rooftop bars, and beautiful architecture that combines British colonial times with the skyscrapers of our modern cities. For a city that is half the size of London you can still easily get lost in its streets and take a day of simply exploring it’s many markets. I’ve been amazed at the price of transport and taken advantage of the £2.50 day fair that lets you go around the whole city! For me personally a city experience was something I really wanted to gain from Study Abroad. London is great and so close to Reading but the minimum cost of at least £20 anytime I want to go in means it’s less of a regular occurrence than I’d like. Living on the outskirts of Melbourne has meant I’ve got to explore city life more than once a week and still have money left for my travel plans when Uni finishes! Living in the world’s most liveable city is pretty great, I must admit! At the halfway point of my studies I already feel as though 1 semester is not nearly enough. It was easy to get homesick for England in the first few weeks but it feels as though this is another home now and will be just as hard to leave. I’ll blog on again in the next month to let you know just how hard it is to say goodbye! But for now I’m off to the CBD[i] to catch up with a few friends over some good food and a pot[ii]!